Vice President, Relationship Manager at Bridge Bank, N.A. RBC Bank (USA)'s Portfolio Remediation Group (PRG) acts in a pivotal role within the organization by developing acceptable long-term credit resolution strategies while achieving desired interest rate spreads and fee targets. PRG partners with local market colleagues to provide additional financial solutions to their clients and ensure the transition of troubled assets for enhanced portfolio management, monitoring, rehabiliation, restructuring and collection efforts. Managed a portfolio of $40 million in loan exposure with accounts that required special servicing due to emerging and watch list risk profiles. Managed portfolio in accordance with the Bank's credit policies and procedures while achieving desired interest rate spreads and fee targets appropriate for the risk profile. Proactively identified client needs while seeking to develop new revenue sources through all client contacts. Developed strategies for the disposition of underperforming/horizontal assets while minimizing financial or reputational loss to the Bank. Founded in May 2001, Bridge Bank, N.A. is a full service business bank dedicated to meeting the financial needs of small to middle-market businesses in the Silicon Valley business community. Bridge Bank's Technology Banking Group also has an office in Irvine, CA that serves the Southern California market and offices in Dallas, TX and Reston, VA that serve the Central and Eastern Regions of the U.S. market. Bridge Bank provides clients with a comprehensive package of business banking solutions delivered through experienced and professional bankers. Bridge Bank's Technology Banking Group was launched in April 2005 to provide banking solutions designed specifically for the unique needs of venture backed and non-venture backed technology companies in every stage of a technology company's life cycle. Depository and Credit solutions offered by Bridge Bank's Technology Banking Group include 24/7 internet-based business cash and treasury management, on-line account statement and item imaging, remote deposit capture, business credit cards, commercial lines of credit, growth capital financing, international trade services, Export-Import financing, foreign exchange payment services, and factoring and asset-based loans. Bridge Bank's Technology Banking Group opened a business development office in Reston, VA in November 2006 to focus on building a portfolio and creating a presence in the Eastern Region markets. I was the second hire in the Reston office and was brought in to assist the Eastern Region's Market Manager with building the portfolio. To date, the Eastern Region's Technology portfolio has over $90M in deposits and loan outstandings with $55M in total loan commitments. Manage Eastern Region's $90M portfolio of deposit and loan relationships. Analyze creditworthiness of new prospects for the preparation, structuring, and negotiating of loan proposals. Complete underwriting for the preparation of credit write-ups for new prospects and existing loan relationships. Present credit write-ups to the appropriate loan committee for approval. Work with Bank's outside legal counsel to negotiate and document approved loan transactions. Assign appropriate risk grading for loan relationships and maintain acceptable credit quality. Ensure all loan relationships are providing timely and accurate financial reporting to monitor performance. Identify cross-selling opportunities for Cash Management, International Finance, FX, and Trade Service products and make appropriate referrals. Oversee activities of Credit Analyst and assign tasks to assist in the management of the portfolio. Engage prospects and referral sources by attending marketing events sponsored by the Technology Banking Group. Marketing events include conferences by the AlwaysOn Network, Northern Virginia Technology Council, Virginia Chamber of Commerce, and Northern Virginia High Tech Prayer Breakfast. My initial role was a Credit Analyst before being promoted Relationship Manager and assuming responsibility for the growing portfolio. Monitored financial reporting for all loan relationships. Monitored financial covenant compliance for all loan relationships. Processed loan advance and payment requests. Completed underwriting for the preparation of credit write-ups for new prospects and existing loan relationships. Maintained accurate loan files with proper documentation. Documentation and booking of all approved loan transactions. Progressively assumed all duties of Relationship Manager. Georgetown University Conference Hotel was previously staffed and managed by Marriott International and is one of the most secluded yet convenient hotels in Washington DC. Located in the famous and historic Georgetown district, it offers a comfortable, distraction-free environment coupled with the convenience of being just moments from well-known Washington DC attractions, monuments and museums. As the only hotel situated on the Georgetown University campus, it offers the prestige of the university and previously hallmark Marriott service. After a successful turnaround of the Renaissance M Street Hotel, I was promoted to Senior Assistant Controller and was asked to fill a new role as the Acting Director of Finance at the Georgetown University property. The new role was supported by a Director of Finance at another local Marriott-managed hotel that was available to provide assistance as needed. In addition to the financial management of the conference hotel, I was also responsible for the financial management of the Georgetown University Jesuit Community that was also staffed and managed by Marriott International. Managed all finance and accounting functions of the conference hotel including the food and beverage outlets. Managed 3 hourly General Accountants and supervised their assigned duties that included general cashiering, accounts receivable billing and collection, accounts payable processing, and recording entries on the general ledger. Maintained accuracy of all financial reporting systems of operations within the hotel and conference center. Ensured balance sheet accounts, including bank reconciliations were reconciled accurately with supporting documentation and on a timely basis. Monitored the hotel and conference center revenues and expenses and ensured the accuracy of reporting in accordance with GAAP. Analyzed financial data and operations and work with department heads to ensure the hotel's financial objectives were met. Conducted Risk Assessment audits to ensure proper internal controls were in place to minimize risk exposure. Ensured all levels of management were promptly notified of any financial deviations from established policies and control weaknesses in the hotel. Effectively managed and communicated cash flow related issues, as required to management and ownership. This included the accurate and timely preparation of cash flow statements, management of receivables, cash balances, control mechanisms and timely deposits of all funds. Administered and enforced all established policies relating to financial controls and credit risk. The Renaissance M Street Hotel is one of Marriott's luxury hotels in Washington DC, offering a monumental stay as the newest DC area member to the Renaissance brand. Recently completing a multi-million dollar redesign, the M Street Hotel is conveniently situated near energetic neighborhoods and minutes from legendary city sites. The Renaissance M Street Hotel was formerly managed and branded by Wyndham hotels. After an ownership transition, the new ownership group engaged Marriott International to manage the property and rebrand it as a Renaissance Hotel. The ownership and management company transition presented many challenges related to the transition from the management of Wyndham to the Marriott management culture and the financial reporting systems used by Marriott. There were major issues with the hotel's receivables and many unreconciled accounts on the balance sheet. Marriott's Eastern Regional Finance team asked me to come to this hotel to clean up the receivables and balance sheet accounts and to lead the transition process from Wyndham's legacy financial reporting systems to Marriott's systems including onboarding the hotel to the Marriott Business Services model. Once this transition was complete, the property's Director of Finance moved on to another hotel and therefore I assumed the role of Acting Director of Finance for 5 months until the position was filled and I was offered the opportunity to go to the Georgetown University Conference Hotel. Collected over $1M of outstanding doubtful receivable accounts acquired from previous management company. Fully reconciled and certified the hotel's balance sheet in 4th quarter of 2006 that had been uncertified in 2 previous quarters. Developed and implemented hotel's credit policy for group and transient business accounts. Implemented Purchasing Card Program to streamline the accounts payable process and improve vendor relations. Implemented new Marriott financial reporting systems throughout the hotel and the food & beverage outlets. Implemented labor management systems that increased productivity. Facilitated monthly financial statement review and budget critique with all department heads. Provided finance and accounting support to ownership group and acted as liaison between the ownership group and Marriott corporate management. Managed cash flow during period when hotel was closed during renovation. Managed main operating cash account and funding of escrow account for capital expenditures. Managed hiring and training of all new associates during turnover of entire accounting staff. Located within minutes of major highways around Washington DC, the Tysons Corner Marriott Hotel is great for meetings and business events in the DC area. Responsible for the management of daily operations of the Accounting Department; AR, AP, Income Journal, General Cashiering, and Audit Compliance. Annual Revenue of $28M. Managed 2 General Accountants; including hiring, training, annual reviews, coaching and counseling. Reconciled all Asset and Liability accounts on the Balance Sheet with supporting documentation for all reconciling items. Reviewed P&L statements for accuracy in accordance with GAAP. Conducted Quarterly Write Off/Credit Meeting to discuss deviations from the Credit Policy. Partnered with department heads to assist them with plans for reaching financial goals set for productivity and cost control. Managed the hotel’s Purchasing Card .Process to ensure compliance with corporate guidelines. Improved the hotel's Summary Risk Assessment score from 80% (Needs Improvement) to 90% (Strong) in less than a year. The Mayflower, a Renaissance Hotel has earned recognition as "Washington's second-best address" with its 4-diamond rating, legendary aura and coveted White House status, attracting a long list of luminaries and notable events to its doors. A proud member of Historic Hotels of America and the largest luxury hotel in Washington, DC, the Mayflower is located in the influential business quarter near the White House. Responsible for all activities involving credit and accounts receivable; Annual hotel revenue $58M. Managed 4 accounts receivable billing clerks; including hiring, training, annual reviews, coaching and counseling. Partnered with members of the Sales, Front Office, Event Management and Catering departments through the entire billing process to ensure accurate and timely billing. Provided prompt and detailed responses to guest account inquiries to resolve problems. Managed and monitored all collection activities of accounts receivable. Prepared monthly reports for accounts receivable department and hosted monthly credit meetings to review delinquent accounts and discuss credit status for all upcoming events with the Sales and Event Management team. Managed bad debt and prepared quarterly write off reports for Director of Finance and General Manager. Executed conversion of general ledger, A/P and A/R from NGS to PeopleSoft 8.8 during ownership transition. Solicited company provided leads for new business opportunities that benefited customers. Generated mortgage, auto and credit card loan applications. Investigated and evaluated creditworthiness of credit applicants. Process loan payments and maintain daily cash drawer. Maintained loan file compliance standards. 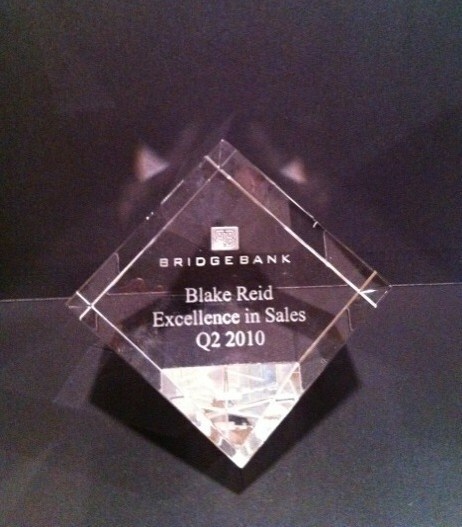 Recognized twice as a member of the quarterly Top 10 Sales Team in the Eastern Region. Held various leadership roles such as branch Credit Card Captain, Real Estate Captain, and Lead Captain of Greenbelt Branch. Received highest score in class on training test at Regional New Hire Training Seminar. Pursuing CPA upon completion of accounting requirements. I reported directly to Don at Tysons Corner Marriott, where he served as Director of Finance. I have reported directly to Paul since joining Bridge Bank. I reported directly to Nicole at the Renaissance M Street Hotel, where she served as the Director of Finance. Kayak Fishing. 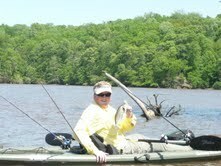 Pictured here on the Potomac River. Playing golf. 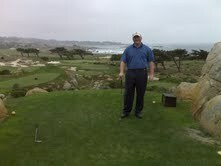 Pictured here at Monterey Peninsula CC. Originally from Decatur, Alabama, I am eager to move home to North Alabama to be with family. I have had many wonderful experiences in my ventures around the Washington D.C. metro area that have enabled me to develop many skills over the past 7 years. It is my hope to find a well established company that will allow me the opportunity to capitalize on my vast skill set in Finance, Accounting and Banking.